BlackCoin, a cryptocurrency operating on the experimental proof-of-stake system, has broken into the top ten currencies by market cap. 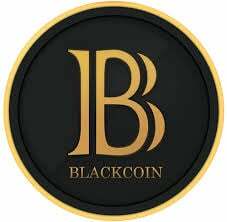 BlackCoin currently sits in the tenth slot, with a market cap of $12,742,404, and a trading price of just over seventeen cents. For reference, Bitcoin (the most popular cryptocurrency, and number one on the list) has a market cap of more than eight billion dollars and is currently trading for more than six hundred dollars. Still, the rise of BlackCoin is significant, if only because it shows that, at least so far, the proof of stake model remains workable. 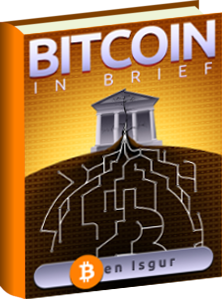 One of the principle disadvantages of proof-of-work cryptocurrencies like Bitcoin is the computational power needed to verify transactions. Bitcoin miners use up computer hardware, electricity, and storage space competing to produce proofs of work and earn mining rewards. The computations being performed for proof of work are fundamentally useless, outside their role in cementing the block chain together. This can be an acceptable use of resources if it’s the only way to ensure the integrity of the currency, but it’s far from ideal. Proof-of-Stake, an alternate verification scheme first proposed in 2011, which avoids this problem by replacing (in part or in whole) the proof of work requirement with a proof of stake — a demonstration that you own a certain amount of the currency. To verify a transaction, miners send money to themselves, and their probability of successfully mining a block (and verifying all the transactions in it) is proportional to how much money they can send, and how long that money has been unspent in their wallet for. The length of the blockchain, rather than being determined by how much hashing power was spent, is determined by how much stake was demonstrated. This has a few unique advantages. First, it prevents miners from having to spend electricity on mining hardware – buying more mining hardware is just a question of buying more units of the currency. Proof of stake is also, in principle, more secure against 51% attacks, due to the necessity of buying half of the currency in circulation (inherently more expensive than buying half of the mining hardware), and, on top of that, because proof-of-stake requires that a successful 51% attacker own many millions of dollars’ worth of the currency, it creates a strong financial disincentive for the attacker to complete the attack and sabotage the value of their own holdings. Proof-of-Stake is still an experimental technology, and it’s not clear how well it’ll work out in the long run. That said, the network is holding up just fine so far, and that’s important. One of the great things about cryptocurrencies is their ability to run economic experiments with perfect data collection. Regardless of the ultimate fate of BlackCoin, its existence is giving us valuable data about the stability and dynamics of proof-of-stake networks, and it’ll be fascinating to see how it plays out.